Games Workshop, keep Leadbelcher Spray in your permanent stock! I don't even think I need to do anything to it, brilliant stuff! 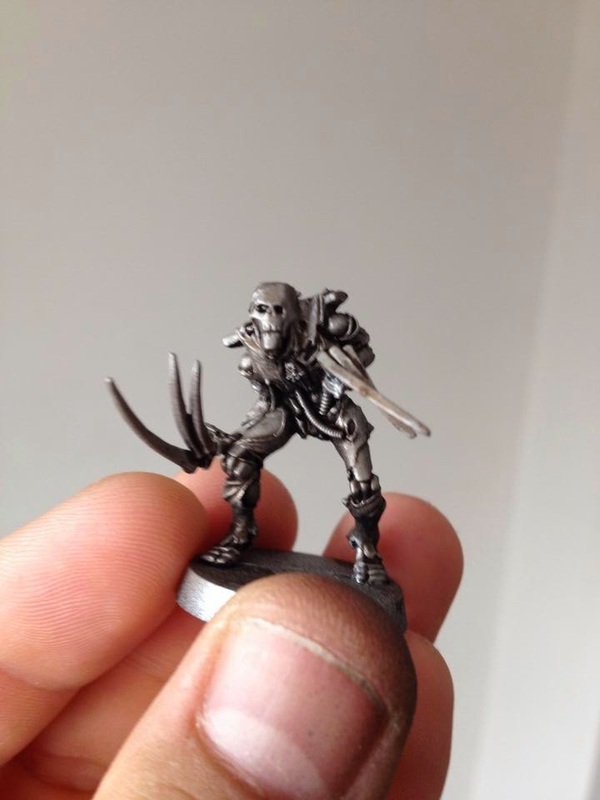 So using this and a few other techniques I've been playing with (not to mention the new Necron codex release back in January) I have begun painting once more, kicking it all off with a Night Scythe which I haven't even used before 7th edition - I know, what kind of Necron player am I? 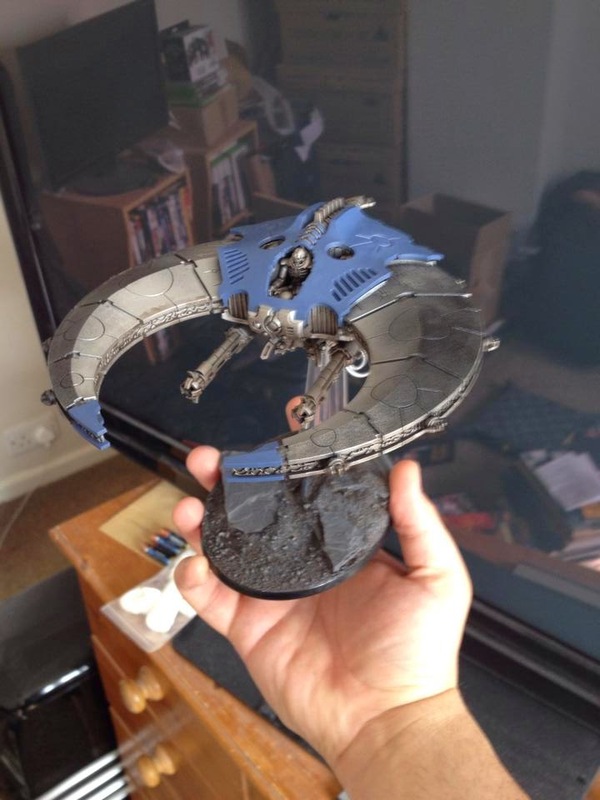 I do have some other Necron projects in the works too, including 20 work in progress Flayed One conversions, a few Cryptek ideas floating about, an Overlord, some Tomb Blades and soon to begin another 20 Warriors using my new painting techniques, but I've only just returned to the blog so I will save the updates on them for later. I also have finally settled on a Warhammer Fantasy army but I will hopefully have more on that soon (Hint: I basically collect the same army in 40k). Also for those who are interested I have recently been inducted as an admin over at Games and Theory, so be sure to go check it out here! What? there is lead belcher spray?????????? That is AWESOME! I gotta get me some!